Dobermon + Winning Percentage: 40%! Gryzmon + Winning Percentage: 40%! Lighdramon + Winning Percentage: 40%! This hound sprints across the wilderness like the wind, its hammer of judgment calling upon explosive tremors! ◎When the opponent is a Level IV, add 200 to your attack power. 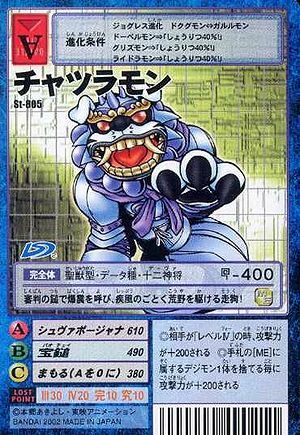 ◎For every Digimon belonging to Metal Empire that you discard from your hand, add 200 to your attack power. Has the D-Ark ID 400. This page was last modified on 3 December 2016, at 21:00.